Alex de Leon, 16, quickly dropped to his knees, hitting rocky ground and wincing. He ignored the bruises and reached out a hand to claw back the dirt and grass. What had caught Alex’s eye was a quarter-sized piece of white marble buried beneath the detritus. With each swipe of his hand the small circle grew…as did Alex’s excitement. Jodina Hicks, UrbanPromise’s Executive Director, quickly stepped over to Alex and peered over his shoulder. Sure enough, Alex had uncovered the grave marker of another forgotten soldier who had served valiantly in the Civil War. 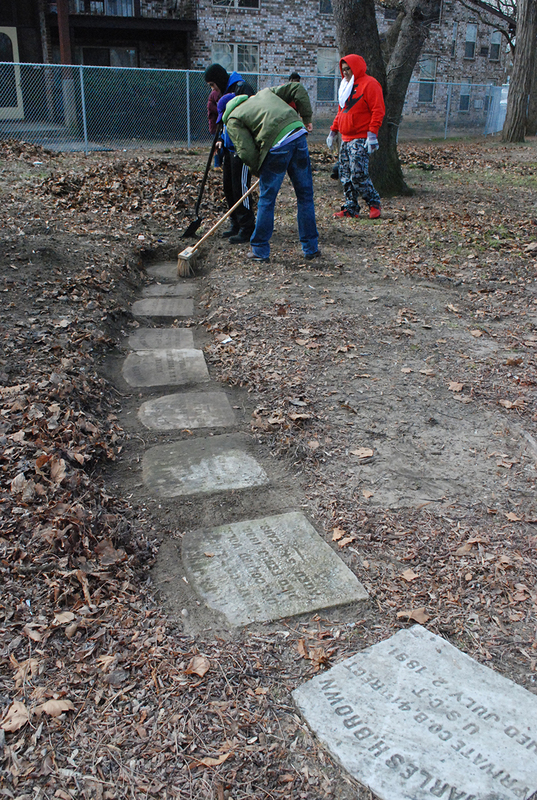 It was UrbanPromise’s annual Martin Luther King Jr. Day of Service, and a small group of our high school students had been deployed to Johnson Cemetery—a stone’s throw from our campus. Their assignment was to pick up bottles, syringes, and trash. Never did the students expect to uncover the remnants of history. Johnson Cemetery has a remarkable and tragic story that begins as a sacred burial ground for US military that served in the Civil War and includes the dark chapter of our city’s urban decay , neglect and consequent disregard for the brave men of a century ago. The forgotten, once proud cemetery is the final resting place of more than one-third of New Jersey’s African American soldiers who fought in the 54th Regiment during the Civil War, popularized in the movie Glory. During the ‘70s and ‘80s, the hallowed ground suffered along with the disappearing economic base of Camden. Camden’s eroded budget for parks and community services left no money—or interest—for maintaining a dilapidated cemetery. Luckily, the story doesn’t end there—there is a new chapter unfolding for this humble parcel of land. 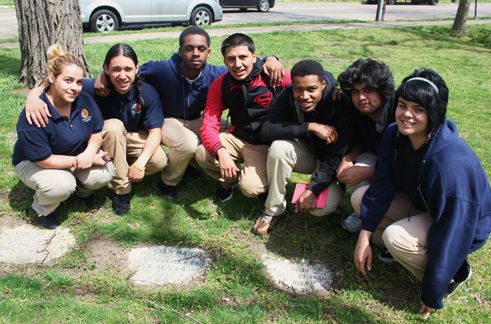 UrbanPromise students are committed to restoring the cemetery and honor to those who rest there. They have adopted Johnson Cemetery as their own Memory Park. Monthly, the students volunteer to clean the remaining headstones, uncover newly discovered ones, and generally maintain the property. Importantly, the students learn about the men who gave their lives to help emancipate our country’s slaves, and herald a new era of freedom. The Johnson Cemetery Project is part of a broader UrbanPromise vision. It is a teaching tool that evokes civic responsibility and pride, and consequent service to one’s own community. This sense of civic responsibility extends to other projects, including monthly visits to the elderly, feeding the homeless, cleaning up waterways in the city, volunteering at the South Jersey Food Bank, and serving as tutors for younger children, to name a few. I am so proud of these young people. And I’m sure you are, too. But—and of course there is always a but—each of these service projects costs money: money for transportation, staff time, and equipment. That’s why I am looking for friends of UrbanPromise to underwrite a future service project. Not only will our community be positively impacted through volunteer service, but our young people will be transformed in their formative years through their experience of giving back to their community. 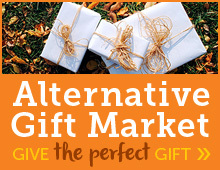 Please consider underwriting one to help us with our projects! I look forward to hearing from you. P.S. Please enjoy below a reflection one of our students shared with me recently. Johnson Cemetery is a special place. It honors the people who’ve come before us. It is a part of African American history. These are our first soldiers. And buried there is the first black police officer in Camden. People who have made a difference in this country even when they weren’t being granted the same rights as others. People who, if it weren’t for them, we wouldn’t be where we are today. Now we have an opportunity to make a difference for them. And we will continue to go back each month until it’s noticed, until it is respected. We do it to acknowledge and honor these men and women who have come before us. People who have made a way for us to be where we are today. 'I KNOW that guy," Vincent Thomas screeched as Charles Tillman appeared on the 60-inch television he and dorm mates at Eastern University had gathered around on Super Bowl weekend. "Sure you do," was the predictable response. Thomas grew up in Camden. Tillman, honored that weekend as the NFL's Man of the Year, has played his entire 11-year career as a cornerback with the Chicago Bears and before that, lived just about everywhere else in the world but Camden as the son of a military man. But Thomas didn't just know him. It is largely because of Tillman that Thomas became the first in his family to attend college. As involved sponsors of Camden's acclaimed UrbanPromise program, Tillman and his wife Jackie are covering whatever remains of Thomas' education costs after grants and scholarships, and are taking an active role in the junior's pursuit of a degree in business marketing. "First semester was rough for him, but he's been awesome since," Tillman said proudly. Long before their infant daughter Tiana's life was saved by a donated heart in 2008, the Tillmans were dedicated philanthropists. Since 2005, their charitable efforts have impacted the lives of more than 1 million Chicago-area children, many of them chronically ill. In 2007, Jackie was flipping channels one night and landed on a "20/20" report on the dire plight of the underfunded, crime-torn city of Camden and UrbanPromise's early attempts to provide outlets and hope for the cildren victimized by that condition. "I was floored by it," Jackie said. "And the next day, I called them and asked how we could help." 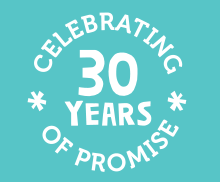 Organized originally in 1988 by college missionaries as a safe summer camp for Camden's kids, UrbanPromise now operates from a budget of $3.6 million and employs more than 55 full-time employees. With 100 young adults on its payroll each year, it is the largest private employer of teens in the city. One of those teens before going off to Eastern, Vincent Thomas has been involved in UrbanPromise since attending camp in third grade. He was one of the first kids the Tillmans met when they visited for the first time and has been sponsored by them since his freshman year in high school. Already thinking past his anticipated graduation from Eastern, he dreams of starting his own business, utilizing computer graphics. "I remember the first letter he wrote to us,"Jackie said. "I don't want to say 'angry,' but reading the letter, he sounded guarded. To see the man he has become now - he's come a long way. We're very proud." In the years since their initial involvement, the Tillmans have been in and out of Camden, touring the city, meeting the kids whose lives they've aided. Sometimes it's just to talk or walk with them, but there have been trips to Ruth's Chris Steakhouse, and a big group went to this year's Eagles-Bears game, too. Injured for the second half of last season, Tillman was not required to accompany the team to that late-December Sunday night game, but he and his wife flew out anyway. "They've met my father and mother personally," Thomas said. "They get involved in what we're doing. 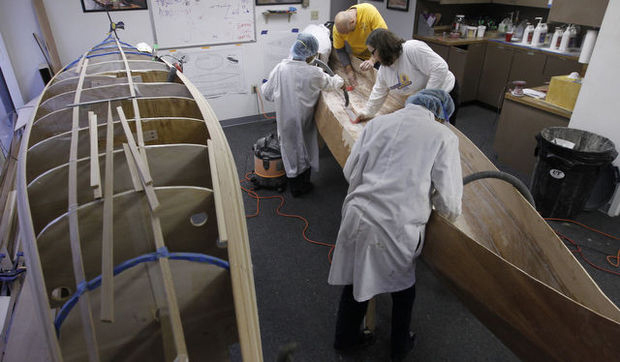 We build boats. They were amazed that inner-city kids were able to do those kind of things. He's as interested in us as we are of him." Of course, even the free stuff the Tillmans habitually supply often have an ulterior purpose. "This is how it is when you go to balls and galas. Even the smaller things can help them go a long, long way." It's the guiding premise of the Tillman's philanthropy, whether it's providing chronically and critically ill children with access to iPads, laptops, game systems and such - the crux of their hospital involvement - or beaming a light toward a world more promising than present-day Camden can provide. 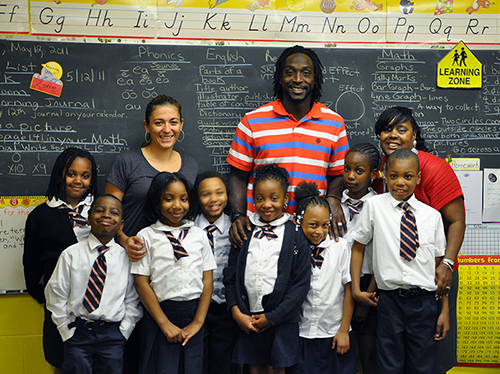 "We get to rap with the kids," Charles Tillman said. "Hear all about what's going on in their lives. Their struggles. Their goals, their dreams. The same dreams I had when I was a kid. The only difference is that they live in Camden. "The biggest goal my wife and I have, what we want to achieve is, 'You can go do something. You can be better, you can go out, learn, grow, come back and you can teach.' Never be ashamed of where you are from. But at the same time, you don't have to be a product of what goes on in Camden. It's not going to get better until you change it. You know what it's like. I don't. I'm just trying to help out." Charles Tillman, the Chicago Bear’s extraordinary cornerback, received the Walter Payton NFL Man of the Year Award on Sunday—a highly prestigious award that recognizes an NFL player for the charitable and community work he does off the field. This national recognition was especially meaningful for the UrbanPromise community. 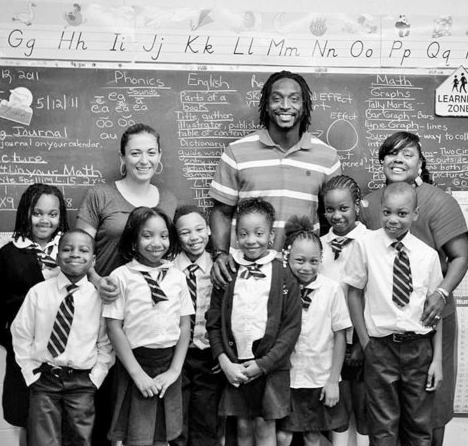 In 2007 Charles and his wife, Jackie, began sponsoring students at UrbanPromise. Beyond sending donations, Charles and Jackie desired to build meaningful relationships with our youth. So they came to visit our campus, ate pizza with our teens, opened their hearts and lives, and allowed themselves to be known as genuine and authentic people. Since that first visit, Charles and Jackie have continued to pour themselves into the lives of our youth. When the Bears come to Philadelphia, Jackie makes sure our teens get a great meal and a chance to attend the game. Our college students receive occasional emails from the Tillmans, making sure that studies are taken seriously and classes are attended. Families needing assistance with utility bills, rent, and food continue to benefit from their generosity. UrbanPromise is thrilled that 100 million television viewers were introduced to an exceptional human being Sunday evening. More importantly, our community is profoundly grateful that the Tillmans are part of the UrbanPromise family.